Event Marketing. Make an impact. Trade shows and conferences offer companies a unique platform to engage with prospects and existing customers. On average, B2B marketers spend 15-20% of their budgets on live events — a sizeable chunk. We advise our clients to make the most of this investment by taking a strategic approach to driving traffic, generating leads, and tying revenue back to the event. Event marketing words to know. Booth: your designated spot on the trade show floor to show off your company, talk to potential customers until you lose your voice, and hand out literally hundreds of business cards. Sponsorship: when you pay to attach your brand name to an event and its advertising and buzz — before, during, and after. A great way to be viewed positively as a participating member of the industry. Traffic drivers: strategies you use to cut through the noise of an event and compel attendees to visit, engage with, and return to your booth. Gamification: using the spirit of competition and game design thinking to keep your booth attendees engaged and coming back. Who doesn’t like to play games? Cultivate brand awareness. Event participation and marketing allow a company to get its message before a highly targeted audience. There is an event out there for practically every industry niche — the key to high engagement is finding the right match for your brand. Generate qualified leads. Trade show and conference attendees already have an interest in the industry. By implementing solid event marketing strategies, companies can walk away with a list of truly qualified leads. Increase brand engagement. An event is an opportunity for meaningful interaction that builds brand loyalty and engagement. The impact of the event is multiplied by creating a buzz and giving customers a reason to share their experience. Grow existing customer relationships. A presence at events can also help with the retention and growth of existing customers, as they allow you time for face-to-face customer support, troubleshooting, and relationship building. Educate attendees. Most people attend an event for one of two purposes: to network or to be educated. It’s critical that a company impart knowledge that the audience will value and that advance the brand’s reputation as a thought leader in the industry. Event attendees are looking for an experience. How do I want people to remember my booth? What do I want people to learn at my booth? How will people interact with my booth? What does my booth offer new prospects? What does my booth offer existing customers? How will I capture leads for follow-up? Make the most of your event spend. 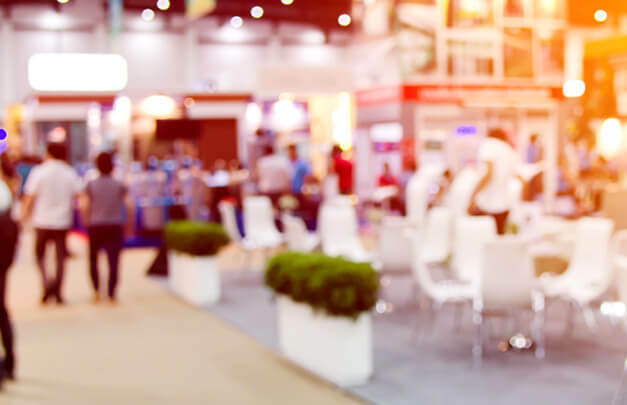 While they offer a tremendous opportunity to get in front of a targeted demographic in a meaningful way, trade shows and conferences do require a significant investment of time and money. This level of investment is why it’s crucial to look at event marketing as a larger campaign that includes several touchpoints including pre-show strategies, onsite activity, and post-show follow-up. Research. Each event is unique and will represent a specific cross-section of your industry. Do some research to determine which specific groups will be attending, then prepare your message and experiences to speak directly to them. Document event goals. What does your brand want to get out of this event—awareness, traffic, engagements? Determine a measurable metric for these goals, and work backward to design a booth experience that is aligned to these objectives. Determine the look and feel. Create a seamless brand experience by being intentional about designing a cohesive booth look and feel. 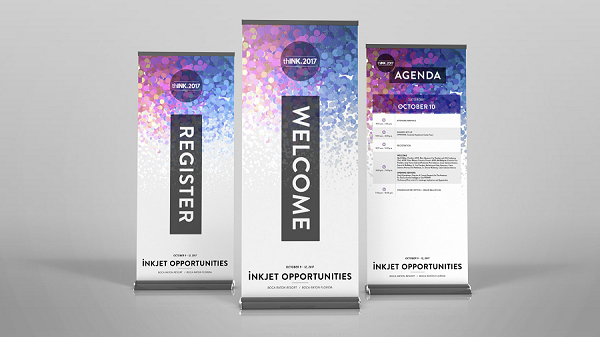 Integrate a theme for booth structure, staff uniforms, collateral, and promotional materials. Promote booth attendance. Execute a plan for pre-show communication to boost traffic that includes 5-7 touchpoints through various channels, including email, social media, phone, and direct mail. Plan follow-up contact. Release some of the post-show pressure by prepping follow-up messages prior to the show. Have a variety of scripts ready, then all you have to do after the event is import contacts and send. Designing with a hybrid approach. Think of a trade show as a museum. Which exhibit would you rather visit: a static exhibit including mainly reading and listening, or an interactive experience? Integrate the physical and virtual by taking a hybrid approach that includes at least one interactive component, one immersive experience, and engaging live brand representatives. Gamify it. Cater to our natural desire to have fun. The hybrid approach will drive the traffic. Then, engage visitors further by gamifying a part of the experience. Use AR/VR. 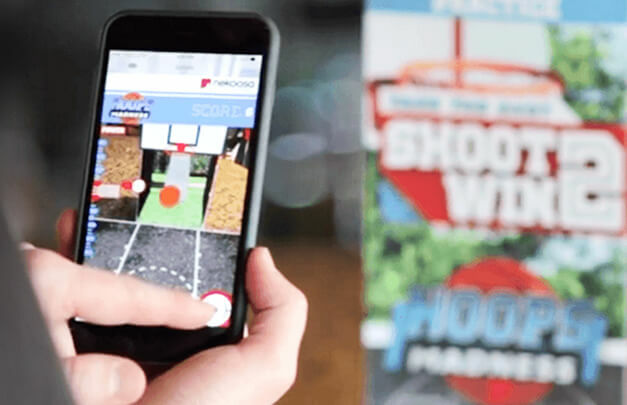 We’ve found augmented and virtual reality to be successful tools for gamifying or adding interactivity to booth experiences. Build even more excitement around these experiences by incorporating AR and VR teasers into pre-show communication. See how we used virtual reality to bring a huge manufacturing event to life. Capture lead data. In order to personalize your post-show follow-up communication, you need some key information about the attendees who engaged with your booth. Design this data collection to be an organic part of an interactive or immersive experience by asking for information in exchange for participation. Contact leads. Reach out to that list of qualified leads while your booth is still at the top of their mind. Keep the interaction brief, but meaningful. Track leads. 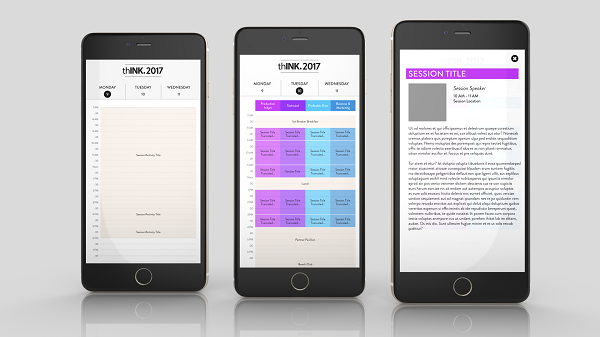 Develop a streamlined lead handling system that sets timelines and measures the results of your event leads moving through the funnel. Tracking the data is the only way to determine what worked and the origin of conversions. Use data to personalize communication. Make your initial follow-up message meaningful and memorable by using your event data to personalize the interaction, include the event name, prospect name, company, and other details unique to them. Nurture and convert. Keep a productive conversation going with a content marketing strategy that leads prospects along the path to conversion. You have their attention—now compel them to take the next steps by including a relevant and clear offer. Reach out to non-attendees. Clearly, all of your customers and prospects did not attend the event; however, the experience you created for the event is still valuable for them. Reach out to non-attendees to share, in a digestible format, what took place at the event that is relevant to them (a new product release, a valuable presentation, new print material, or a new app or game). With strategic planning, design, and execution of your next event, your booth can be a shared experience worth remembering for your customers and prospects — and measuring your results will help you get even more from future events. Ready for an event strategy that works? Work with us.